Mae Young carved out a career that made her a star in the testosterone-driven WWE into her 80s and beyond. Hall of Fame professional wrestler Mae Young has died, WWE confirmed Tuesday. She was 90. Young was reportedly hospitalized on Dec. 31, then moved to hospice care. Her death had been erroneously reported in the days after, and WWE did not give a cause of death. Born Johnnie Mae Young in Oklahoma in 1923, Young began her professional wrestling career in the 1940s and remained active into late last year, making her the only wrestler to believed to have competed in eight different decades. In a statement, WWE called Young the "oldest living squared circle personality." 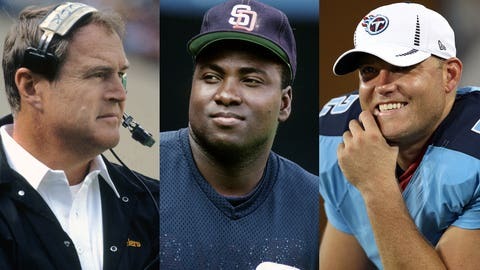 Young receiver her greatest acclaim — and greatest following — in the final decades of her life, particularly when WWE made her and friend and fellow Hall of Famer the Fabulous Moolah the subject of several comedic storylines. Moolah (Mary Lillian Ellison) died in 2007 at age 84, born the same year as Young. Shortly after word of Young’s death, tributes poured in from around the wrestling world. 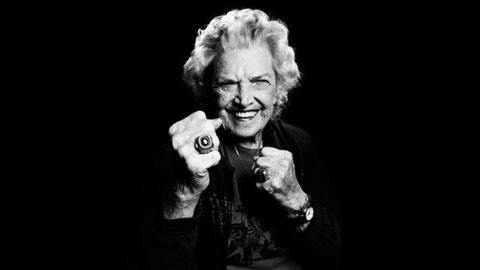 #RIPTheOneandOnlyGreatMaeYoung A true pioneer and legend has passed tonight. Long live the memory of my friend and @WWE Hall of Famer.